Bali Solar Shades protect your rooms from sun damage without blocking your view—and they look good doing it. With a uniquely engineered see-through design that brings the outdoors in all day, solar shades filter out both sunlight and damaging UV rays from your home. Fabrics with a variety of openness levels give you the perfect balance of light and view. Continuous-Loop Lift: Cord loop raises and lowers the shade without changing the length of the cord, providing smooth and easy operation. The included safety guide keeps the cord out of reach of kids and pets to eliminate dangling hazards. Cordless Lift: Raise and lower the shade by pulling on the bottomrail. Ideal for homes with kids or pets, cordless lift eliminates dangling cord hazards and provides a streamlined look. Certified Best for Kids by an independent lab. Smart Pull Lift: Raise and lower the shade with a few tugs of the cord. 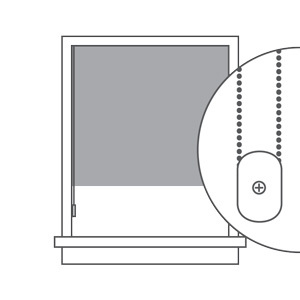 The cord stays the same length, perfect for tall or hard-to-reach window treatments. Motorized Lift: Raise and lower the shade with the included remote or by integrating with a home automation system. Simple, easy to use, and ideal for homes with kids and pets. Allows for easy operation of hard-to-reach or large window treatments. Certified Best for Kids by an independent lab. Which pull type is right for me? 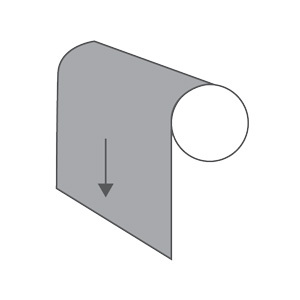 A clear hem grip is a nearly invisible plastic grip that lets you raise and lower your shade without touching the fabric. Available only on cordless shades. Not available with scalloped hems. Plastic tassels are color-coordinated tassels that let you raise and lower your shade without touching the fabric. Available on cordless and Smart Pull controls. Wood tassels let you raise and lower your shade without touching the fabric. Available on cordless and Smart Pull controls. Cassette. Available in small (3" H x 3-5/8" D), medium (3-5/8" H x 4-1/4" D), and large (4-5/8" H x 5-1/2" D) sizes, the cassette valance is a curved, fabric-covered aluminum valance. 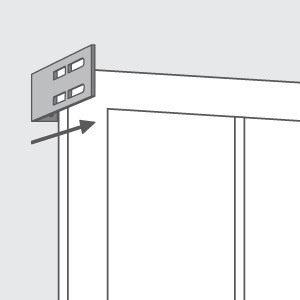 The large cassette valance is not available with cordless lift or Smart Pull lift. Fascia. 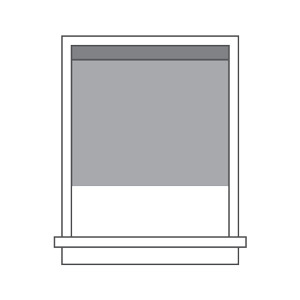 Available in 3" and 4" sizes, a fascia is a flat piece of colored aluminum. Not available with cordless lift or Smart Pull lift. Contour. The contour valance is a slightly rounded fabric-covered valance. Not available with reverse roll. Which roll direction is right for me? With a standard roll, the shade fabric hangs toward the back of the window, closer to the glass. This provides optimal privacy and light control. 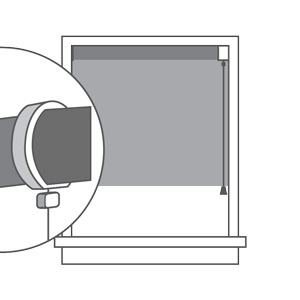 With a reverse roll, the shade fabric hangs toward the front of the window, away from the glass. This creates a sleeker appearance from the front. Not available with cassette valance, fascia, or contour valance. With solar shades at night would you be able to see through them? Hello. My name is Mary with Bali Customer Care. The Solar shades are meant to keep the view and protect from UV. They will have visibility through them (regardless of the openness factor) and will not provide night time privacy. For privacy, we would suggest the roller shades. Hello. My name is Mary with Bali Customer Care. The minimum depth for inside top mount on a cordless shade no valance, is 2&quot;. The continuous loop shade with no valance will require 3/4&quot; and would be side mounted. If you have any additional questions, you may contact us at 1-800-538-9419. 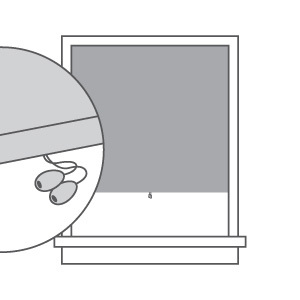 The motorized shades have the option of batteries or a plug in AC adapter. Do you make exterior solar shades? If so, up to what size width and height? Hello, This is Christy with Bali customer care. We do offer exterior shades, however this is not available to order online. You could however order it through http://member.graberblinds.com/ shop at home program which would be through a Graber dealer approved by Costco. Do you have any motorizations options with Google Assistant? Hello, This is Christy with Bali customer care. 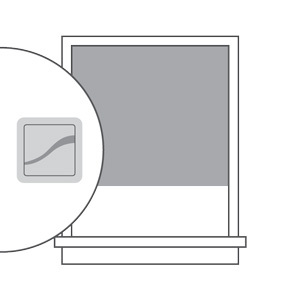 Our Motorized blinds don't work directly with any apps, however we can integrate them with a home automation system such as Nexia, Samsung SmartThings, Wink or Iris. You would need to check with the Home Automation system you select to see if the app you are wanting to use is compatible. What is the top depth space needed for an inside mount on the solar, cellular, and 2&quot; faux wood blinds? Hello Julie. My name is Mary with Bali Customer Care. 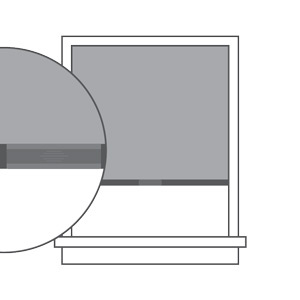 The Solar shade depth will all depend on the control type, fabric, valance and shade size. The minimum depth required for our cellular shades is 1/2&quot; for the continuous cord loop/cordless and 5/8&quot; for the 3/8&quot; cell corded shades. The 3/4&quot; shade will have a larger required depth of 1 1/8&quot;. 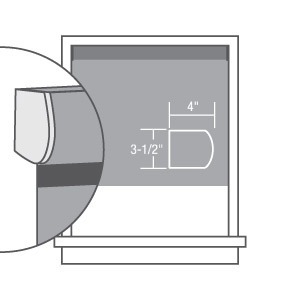 Our Faux wood blinds require a minimum depth of 3/4&quot;. I have south facing windows that looks out to a garden. What openness percentage would you recommend to maximize the view while still provide UV protection in the house? thank you. Is there a customer service rep I can talk to by phone? Hello Renee. This is Christy from customer care. We will be happy to assist you with your solar shade inquiry. Our telephone number is 1-800-538-9419, we can be reached between 8:30am &ndash; 7:00pm. If you prefer you could also email us on the website https://member.baliblinds.com/customer-support/contact-us/.